Commercial and industrial applications can benefit from air conditioning rentals. Temporary work sites are just one example of how rental systems can be used to provide cooling on a short-term basis. While you may not have considered renting cooling equipment, it can be very helpful in a number of scenarios that do not call for permanent units, allowing you to get the job done. Alpha Energy Solutions is the premier choice for air conditioning rentals and portable HVAC solutions. We specialize in commercial and industrial systems so there is no project that is too large or too small for our experienced technicians. In fact, our technicians have over 2,000 years of field experience combined. Moreover, we are familiar with all of the major manufacturer brands. Consider Alpha Energy Solutions as your most knowledgeable resource when it comes to selecting air conditioning rentals for your operation. We deal in all areas of HVAC and handle machinery for many applications across the spectrum. Our clients trust us to deliver service and selection. 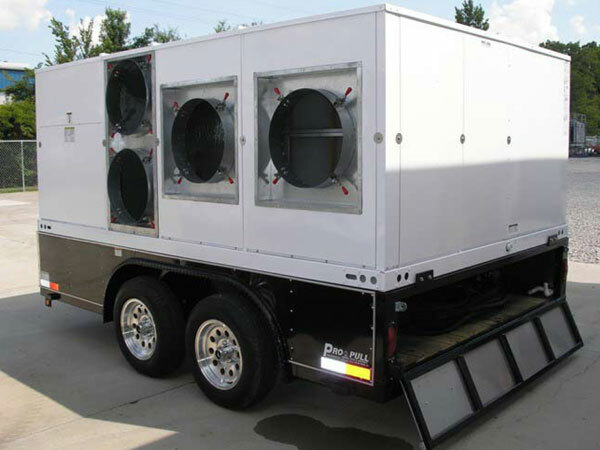 Regardless of the capacity required for your air conditioning rentals, we can help. We can also provide the highest level of service even after your units are selected and installed. Even air conditioning rentals are an investment for your business or operation and therefore should be cared for post-installation to ensure the best performance. You can count on Alpha Energy Solutions to provide technical support for your cooling machines. While you should have machines maintained for the duration of your rental, you can also trust that technicians will respond in the event of an emergency or unexpected repair need. Although machines are very reliable you cannot anticipate the effects of frequent wear. It is perfectly normal that your machine should need adjustments once in a while to ensure that it is running properly and making great use of energy.